Lynyrd Skynyrd guitarist Gary Rossington says the band have plans to extend their recently-announced farewell tour beyond its initial four-month run. "This farewell tour will take a year or two to go all the places we've been and play them one more time, so it's not like we're going away," Rossington tells Billboard. "We're just winding it down a little bit. We'll be doing this a while longer." The Southern rock icons will launch the farewell trek in West Palm Beach, FL on May 4, with the first leg scheduled to wrap up in Atlanta, GA on September 1; the run will include European dates, as well, at some point. 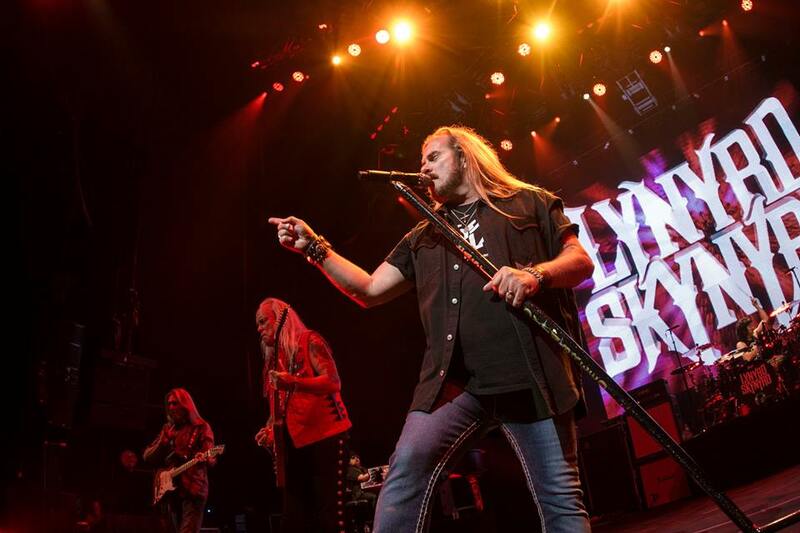 Lynyrd Skynryd will be joined by a variety of guests at various stops along the way, including Kid Rock, Hank Williams Jr., Charlie Daniels Band, Bad Company, Marshall Tucker Band, 38 Special, Blackberry Smoke and Blackfoot. The sole remaining original member of the group, Rossington hints that ‘farewell’ may not necessarily mean ‘the end’ of Skynyrd’s live performances. "I know we're going to take some time off after this farewell tour that's all planned, and then who knows," explains the rocker. “Even, like, the Eagles and a lot of people retire for a year or two and they have to come back. It's just in your blood, y'know? So I don't know if it's really ever gonna end, but his is a plant to start to. Even if the touring ends we'll still do special shows and special guest things here and there with the whole band." Alongside the farewell run, Lynyrd Skynyrd will record and release a new studio album – the follow-up to 2012’s “Last Of A Dyin’ Breed” – and be featured in a CMT-produced documentary. "We have a lot of songs we've written through the years and we write a little bit here and there and have a few new songs we're gonna do," adds Rossington. "We're gonna write a little bit more in the next few months and go in and record real quick and try to get our last CD to be the best one and go out on a high note and make it as good as we can and work our butts off to do it. No projected release date has been determined for the project, however." A Citi cardmembers presale for US dates runs from Tuesday, January 30 at 10:00 a.m. local time until Thursday, February 1 at 10:00 p.m. local time through Citi's Private Pass program, with general public seats available starting Friday, February 2 at 10:00 a.m. local time. With more than 30 million albums sold over the course of their career, Lynyrd Skynyrd were inducted into the Rock And Roll Hall Of Fame in 2006.